How to Modify the LED Display Text by Flash Drive? 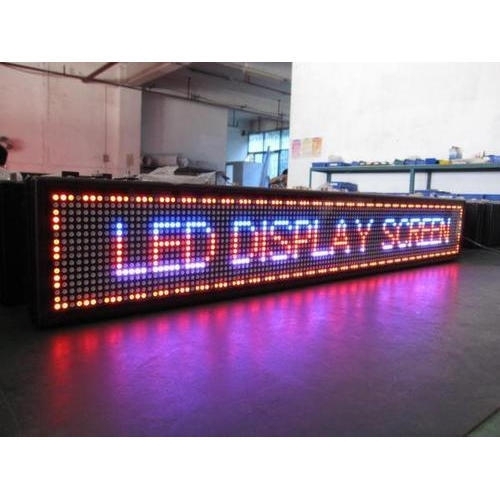 With the continuous development of society, we can see the LED display everywhere in our lives. Please follow us to see the LED display USB flash drive rewriting tutorial. LED display USB flash drive changing text software menu has a column, click USB download, save the settings parameters and content to the USB flash drive inside it. When changing the program, directly copy the content to the LED display and replace it with a USB flash drive. 1. Make it on the computer with the software that comes with the LED display. 2. Then there is an option to download to the USB disk in the software. 3. Then plug the USB flash drive into the USB port under the LED display. 4. After a few seconds, unplug the USB flash drive. The last reminder: choose to transfer data through the USB interface to modify the LED display content, you need to modify it in the LED display control software, and set the LED screen parameters (this is related to the LED display control card). Then click USB to download and download the content to be modified to the USB flash drive. Then connect the USB flash drive to the USB port of the computer.